Once I figured out just how simple it is to make new pillow covers for our living room couch pillows, I was hooked. I can only use my sewing machine on a very basic level - ie: straight lines - so this project is perfect for me. 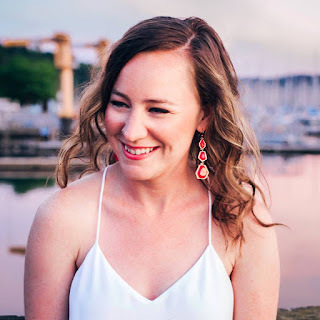 I love being able to recover our couch pillows in under an hour - and it can make a big difference! 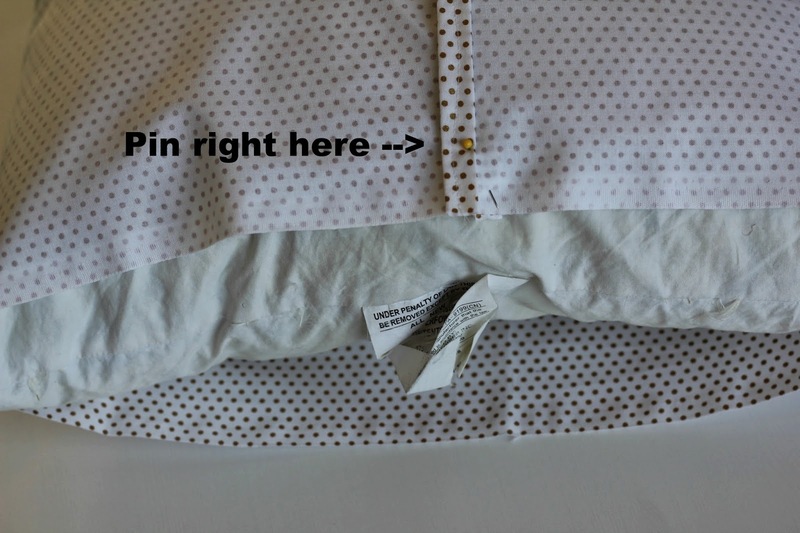 Since the pillowcases need to be simple so that they are easy to remove, I found instructions for an envelope style- which means that there is a flap in the back that you can slide the pillow in and out of. Fabric - depends on how big your pillows are and how many you want to re-cover. A pillow to recover, obviously! JoAnn Fabrics sells pillow forms too, if you're looking for a new one. 1. Cutting your fabric: For the width, add 1” to the width of your pillow, and for the length, multiply the length of your pillow by 2 and then add another 10” (because this is the part that will overlap). My couch pillows are 18” x 18”, so I cut a piece of fabric to be 19” wide and 46” long ([18 x 2] + 10 = 46). 2. Ironing & Sewing the short sides: On the short sides of the fabric, turn your edge over .5” and iron. Then, turn it over another .5” and iron. Then, sew the seam along the edge. Do the same thing to the other short side. 3. 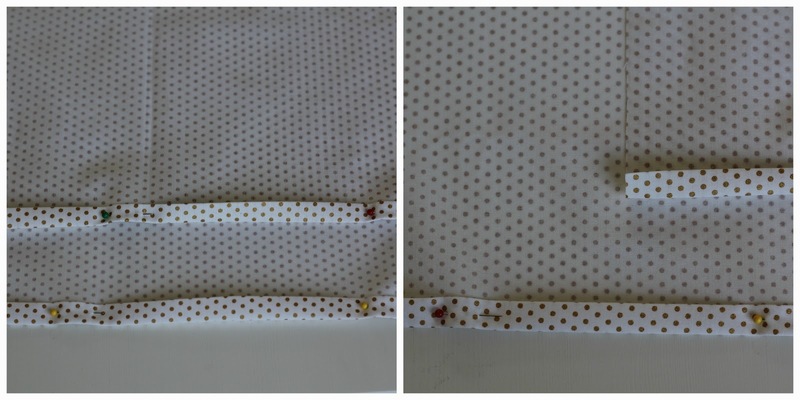 Pinning - Once your short sides are hemmed, lay your fabric down right side up. Take your pillow that you want to re-cover, place it in the middle of your fabric, and fold your fabric over your pillow. Make sure the fabric is lined up on either side and fits snug around the pillow. Then, pin the two flaps of fabric together on either side. 4. More sewing- Now slide the pillow out of the fabric. Once your pillow is removed, pin both sides of the fabric together along the sides. Once your sides are pinned, its time to sew some more! Just sew in a straight line along the edges you have pinned (I gave myself a .5” seam allowance). After you've sewn both sides, turn your pillowcase right side out through the open flap you have in the middle (you may need to use a pencil to poke out the corners). I told you it was really easy!